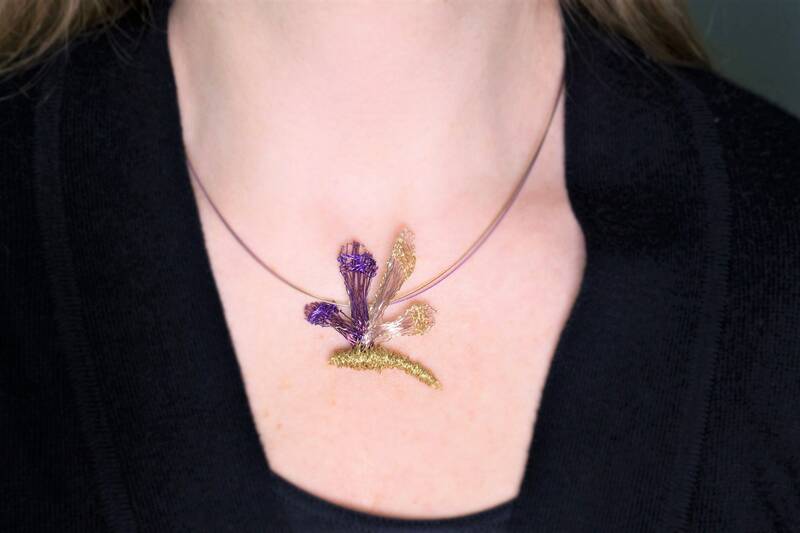 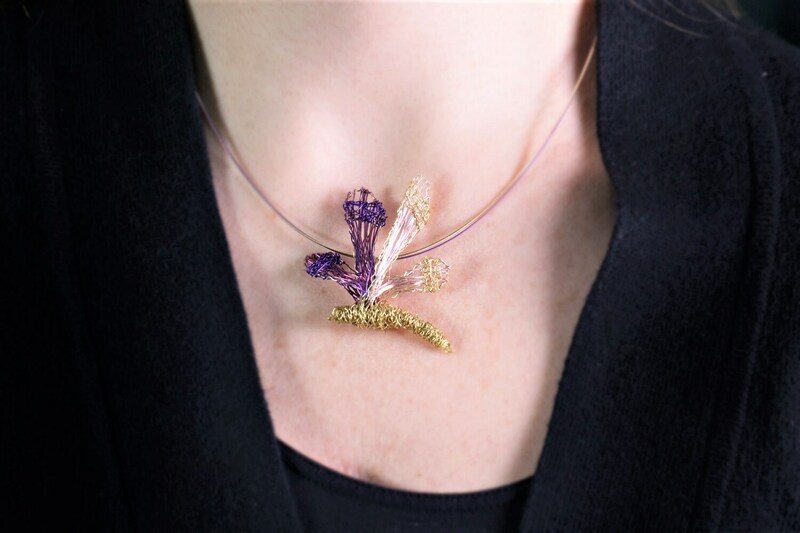 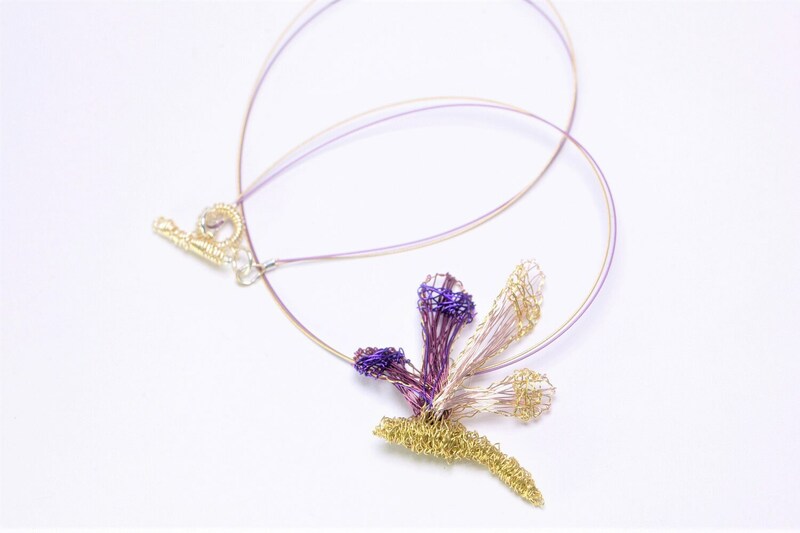 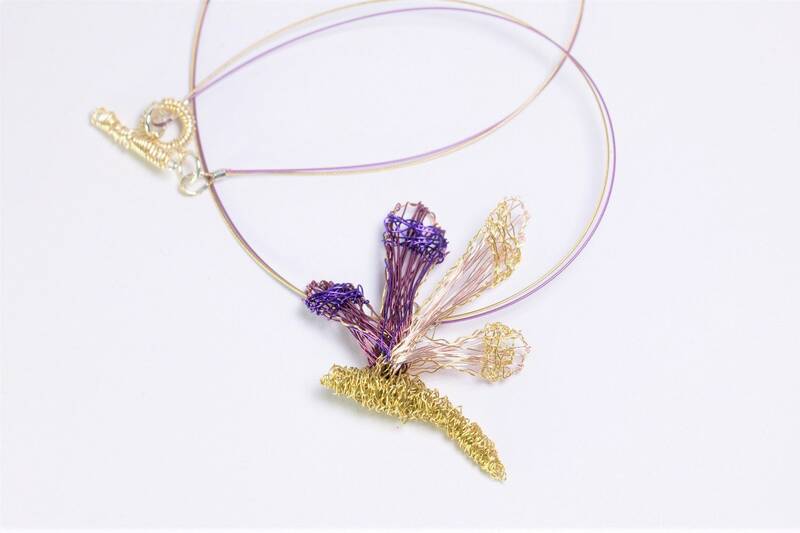 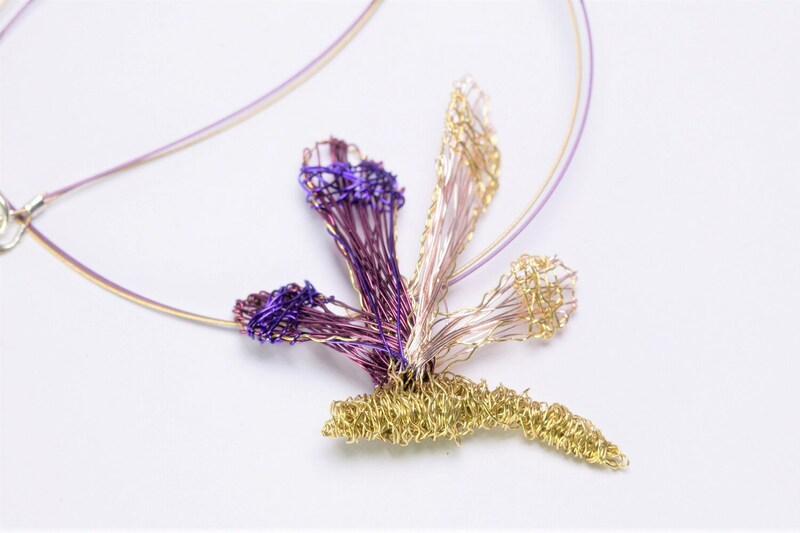 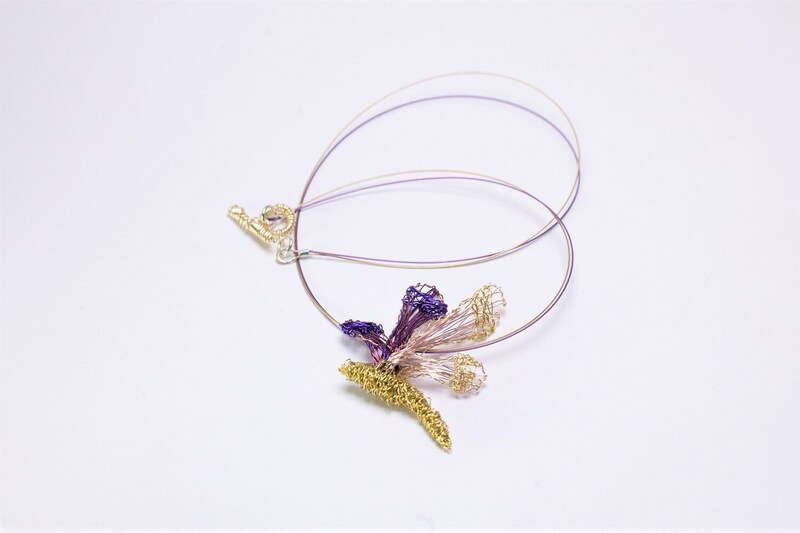 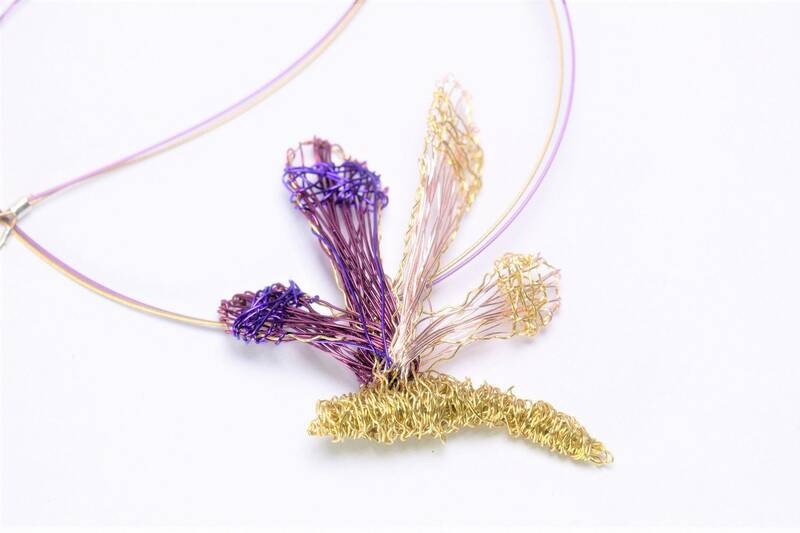 Dragonfly necklace, purple gold necklace, handmade of colored copper and silver wire. 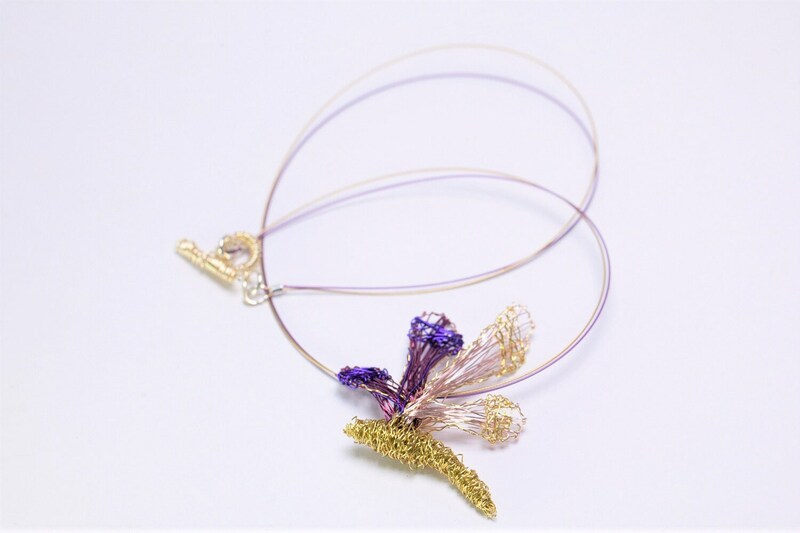 The unusual gift, nature jewelry, hanging from steel wire and the clip is handmade silver. 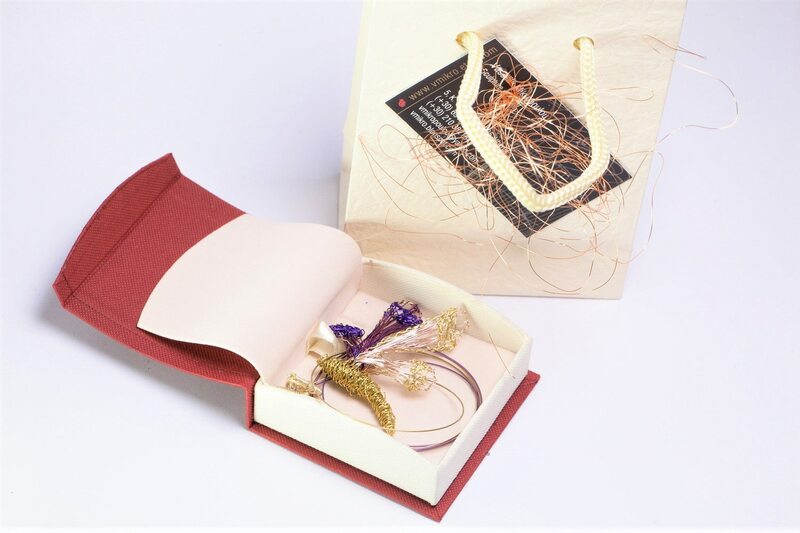 Very easy and safe to snap.